I have known Lisa, Rebecca and Katelyn since I started Styled in Lace four years ago and they're some of the most creative, talented and wonderful people I know. So it was no surprise when they combined their talents and started Elegant Paper Co., a fine art wedding stationery company based out of Halifax, Nova Scotia. They've created some absolutely stunning stationery suites that are perfect for their couples (I should know - they created mine for my own wedding)! Read on to learn more about Elegant Paper Co. and check out their Vendor Directory profile for more information! 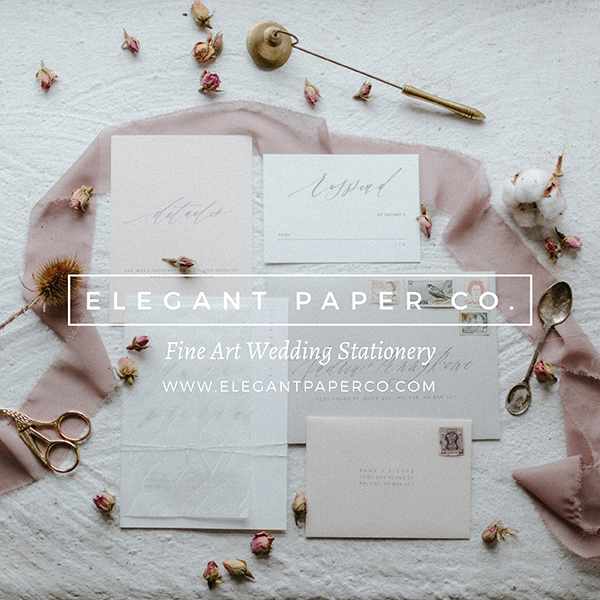 Elegant Paper Co. is a wedding stationery company specializing in fine art paper goods. 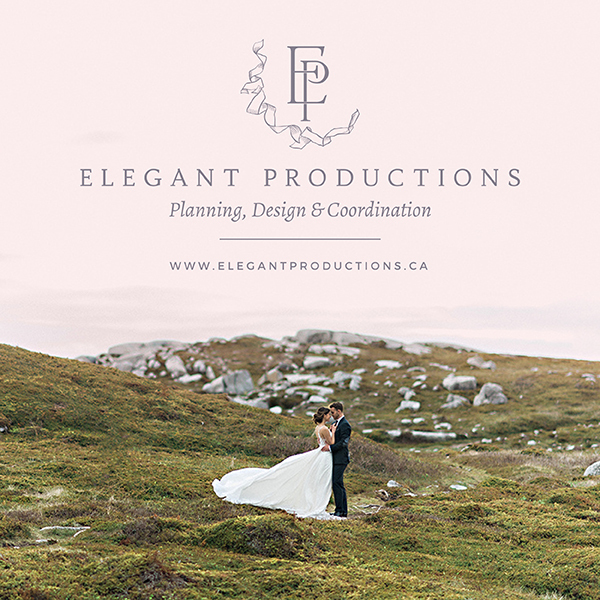 Elegant Paper Co. opened in September 2017, but together we have over a decade of combined experience in the wedding industry. All three of us worked in the industry before we came together to create Elegant Paper Co. Starting our business together was the next natural step. Our service is unique because we put an emphasis on beautiful papers, speciality printing styles and additional design details that elevate your suite to something your guest will want to put on the fridge. The best memory from the short time Elegant Paper Co. has been open is starting our business with the amazing support of the wedding community. The influx of amazing clients has made us so excited to be creating beautiful stationery. The best piece of advice we could give couples planning their wedding is that your invitations are what set the tone for your wedding day. It's the first thing your guests will see and it should reflect the feel of your celebration. Be true to your aesthetic and what best represents your love story. Elegant Paper Co. is a member of the Styled in Lace Vendor Directory. Click HERE to review their listing.